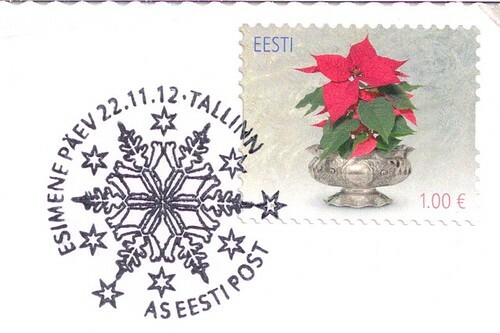 I literally melted into a puddle when this beautiful card arrived from Estonia. Dreamy, sweet, tender, idealistic. Certainly not the winter scenes we get here in Texas but a girl can dream right! Very warm! 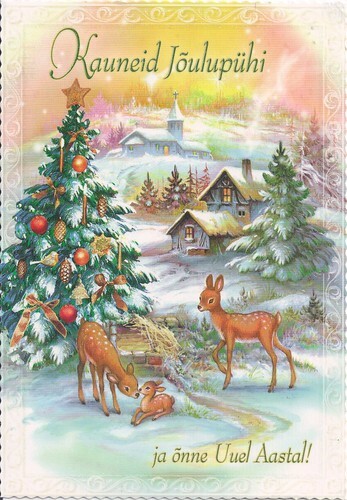 :D And I love that special Christmas cancellation.